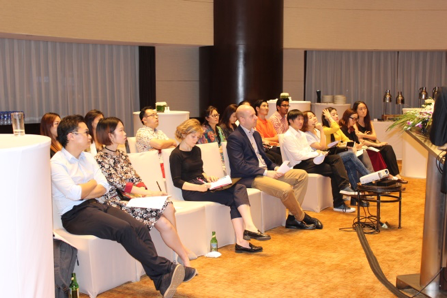 On September 20th, the Public Event September 2016 was held at InterContinental Hotel Shanghai Pudong with over 20 participants. The boutique seminar is organized in association with isoclick and Tolmao Group aims to share the localized digital marketing knowledge and solutions for foreign companies in order to enhance their performances in online marketing and branding. It was opened by Mr. Michael Lehmann, General Manager of sim (selective international management) - the Representative of Swiss SME in China with a welcome speech. 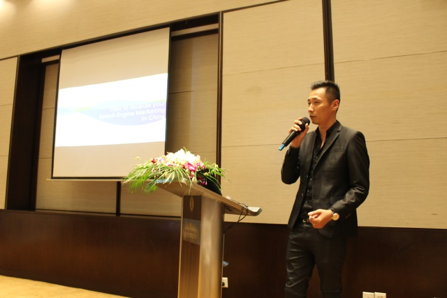 Mr. Kevin Kong, Vice President of isoclick, was invited to share his handful experience in Search Engine Management (SEM) and social media advertising tailored for China market. A cocktail reception sponsored by sim, SATIS International Trading and isoclick was hosted for further discussion and networking. The SKV platform is expected to be enhanced and expanded through these regular events with concerned topics in Sino-Swiss business for active entrepreneurs to meet, develop their knowledge and to discover business opportunities. The evening was a great success and we look forward to welcoming more Swiss SMEs and being at their service.